In the Spirit of 66 / Verviers. What do to on a free Sunday evening? Go to the Spirit and watch Steve Thorne perform again? Yeah that is an excellent idea! And besides that as bonus I could watch Kino, a band with big names. So I made the ride to Verviers, Kino's album playing load. "Mmm not bad at all". Was good to see Steve again, he played the night before in the Astoria (London) with IQ and drove whole night to get on time in Verviers, so he was a bit exhausted. As intro he had "Here we come" and when it flowed over in "God Bless America" he made his entrance. Great lyrics, great performance. Still a bit odd; a man on acoustic guitar, singing and with the band on tape. But it worked again. 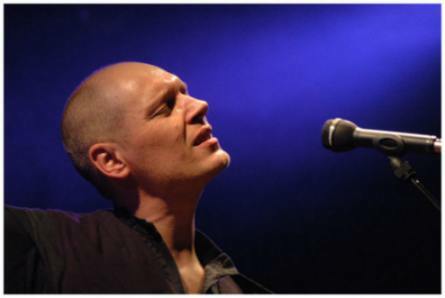 Almost the same setlist as early this year, a lot of songs of his fantastic album "Emotional Creatures Part 1", review), was played, a new song "All The Wiseman" and a older track "Dear John" (That will be on a EP/ single disc later in 2006). Good performance, the crowed liked it and he got a lot of hands in the air, but the Spirit could used some more visitors. More pictures at Piero my dear Belgium friend. 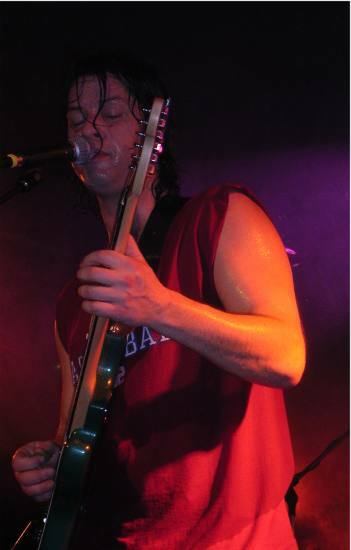 Bob Dalton - drums & backing vocals (It Bites). Good solid rock show with nice melodic songs. A band that have just one album out and then headlining... but with those great names on stage it can't go wrong. 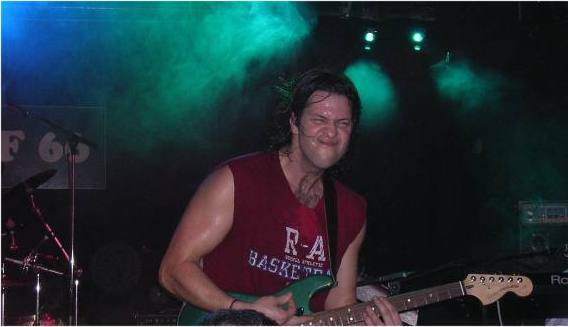 Pete did the lead vocals on a new song called "One For The Army", songs of It Bites were played such as "Plastic Dreamers". "12" of the Urbane and "Sugar Mice" of Marillion was also been played. Althrough I'm not a big fan of Kino I really enjoyed the show, the people on stage are professionals and they love to play. And that worked out well. Yeah this was a good rock show in the row of all symfo bands I've been visiting the last year. A thank you for Francis Geron to make this happen. There is some hot news about the Spirit of 66! It was freezing cold and a bit snowing, so it wasn't the perfect weather for a small ride of 70 kilometers to the lovely Spirit of 66 of our host Francis Geron. But when you made a promise, then you go. 70 kilometers? There were a few fans who drove 300 kilometers! That are the real (good looking ;-) fans! So when I was looking around if I saw someone known, Steve bumded in to me and asked: "Are you looking for someone?". "Yes, I'm looking for someone... I believe he is called Steve and you must be that guy...", "oh ...then you must be Nick". So we finally met again, (after the dosen e-mails and phones we did last mounths) and had a small talk. In the meantime I was pleasantly surprised by his beautiful booklet of his new cd Emotional Creatures Part One. Really splendid art work! Think this gonna be the Album Cover of the year 2005. 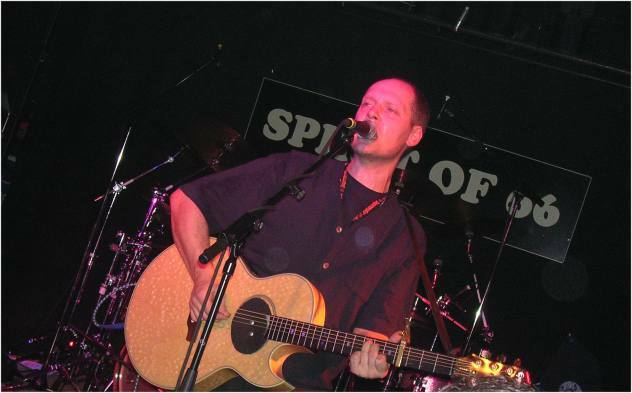 Steve did a solo act on acoustic guitar, a tape and Martin Orford on flute and keyboard (only the first song). What must I say? Steve did again a excellent performance, he did some songs from his previous album and the songs have grown and Steve was again that angry singer songwriter with and Proggy edge and Symphonic bottom. From what we heard, the album has lots of promises to fullfill, and I must admit I thought about it to grab the album, walk to my car, put it in the player and listen. But it was freezing cold outside and Jadis is a band you don't want to miss. According to the quality and loudness of the applause he had to came back, but apperently support acts don't do that... what a shame! The 50 minutes he played were verry enjoyable and exciting. Hope to see him next year with a complete band, think for a man who has Tony Levin, Geoff Downes, Nick D'Virgilio, members of Jadis and IQ on his album it must be easy to set up a band. Steve Christey is a very good drummer, who plays for some various artists, John Wetton for example. 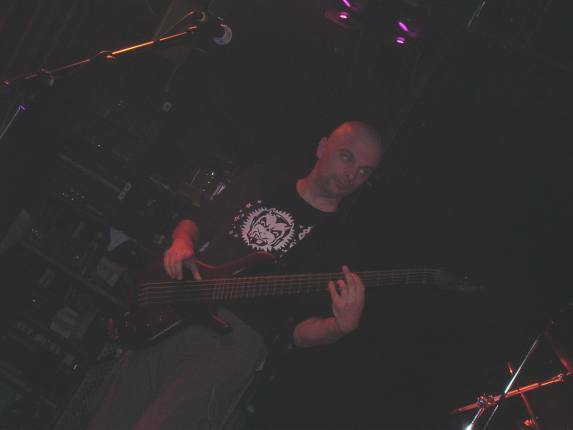 John Jowitt plays bass in IQ and Arena so he must be good and believe me he is, amazing. Gary "the Walrus of Prog", he was mentioned today, freaked out on his guitar and has a good pleasant voice. Guitar driven proggy Symfo with excellent solo's, harmonies, ingenius keyboard layers, great drums and a bass player with elastic speedy fingers and a lovely trouser (as always). Was nice to meet Heike (hope she arrived good and well in Frankfurt), Jan and his friends (from my hometown! 'Best Regards to Ilona, Jan! '), Dino and his girlfriend, Francis and his crew and all who there, thank you, we had fun didn't we? Hope Monica and Bonnie will be there next time again. First there was STEVE THORNE as support act. I never heard of this man, but i was surprised by his set. Nice singer-songwriters-songs with a proggy underlayment. His vocals were really good to hear. 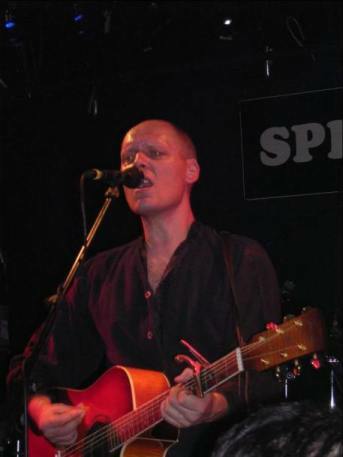 Martin Orford stood on the stage for two songs with flute and keyboards. Apperently this man is busy for some time, his ceedee Emotional Creatures is partly recorded live (2000) and contains also 3 new songs from the up-comming album Emotional Creatures part 1. It seems that Martin Orford and Gary Chandler helped him with this album. And Nick D'Vigilio (ex-Genesis & Spock's Beard) has laid down the drums on three of the tracks! 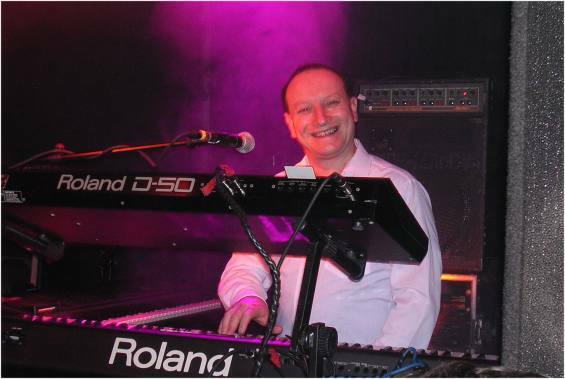 Martin Orford - keyboards and backing vocals. Excellent show, very energetic, smashing guitars solo's, enough to laugh and fooling arround. Nice subtile keyboards. 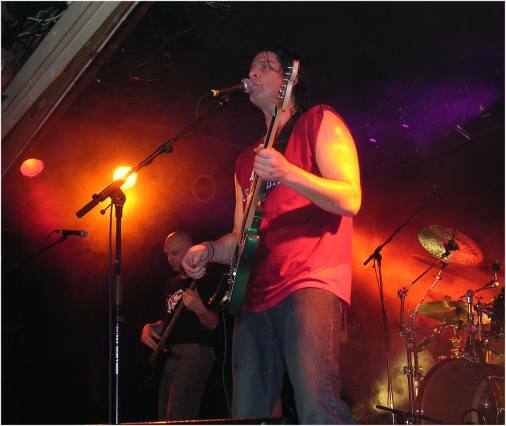 This band is live strong and has enough stage experience to set down a perfect show. But what may you expect that from guys who played with some of the leading prog-bands of this moment? The band was enjoying themself. Gary announced the release of the dvdvd of their gigs in Poland (? ;-). Why did Gary didn't asked Monica on the stage for a dance? We all know what happened with Monica Geller (aka Courtney C.) when some guy called Bruce Springsteen asked her for a dance ... Nevertheless I hope she had a wonderful birthday party, we had! I think the band was a bit in a hush; they had to travel to Madrid that same night for a gig. John introduced the last song "Beginning and the End" for a special reason, he had lost someone very close that night. Esperanza usted tiene un viaje seguro y una demostración excelente en España. And you Fish, Steve Howe, Steve Hackett, Mostly Autumn, Camel, RPWL Porcupine Tree and i think even Arena fans, where were you? This was a great opportunity to see a great band. See you next time! Thanks Francis Geron for this fantastic happening! Nick from the lovely South of the Netherlands. Please be so free and sign my guestbook. 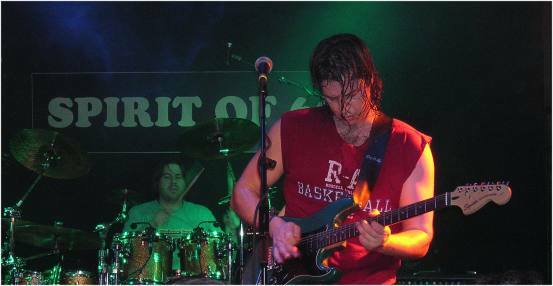 the page about IQ, guest apperances, solo-projects and sessionplayers. Here you'll find a interview with John Jowitt and Martin Orford (February 2005).